Recently, we have written a couple of articles about the exciting, upcoming launch of the new ice cream line from Nightfood, Inc. (OTC: NGTF). Since those articles, we have seen Nightfood Holdings, Inc. issue news about another exciting side of the company in an equally hot snacking space, the THC infused edibles space. If you didn’t know, Nightfood Holdings, Inc. also owns MJ Munchies, Inc., a wholly owned subsidiary of NGTF. MJ Munchies has registered the aptly named Half-Baked brand for federal trademark protection here in 2018, with plans to grow Half-Baked into a leading national edibles brand. Derived from the successful cult comedy movie by the same title, Half-Baked is a brand that we expect to gain substantial traction in this burgeoning sector. The company states that MJ Munchies, Inc. was recently formed as a new, wholly owned subsidiary of Nightfood Holdings, Inc. to capitalize on legally compliant opportunities in the CBD and marijuana edibles and related spaces. In November of 2018 it was announced that MJ Munchies signed a Letter of Intent a cannabis beverage and edibles company to license the Half-Baked brand in the state of Colorado. Colorado, having already made it through the growing pains of both medical use and recreational use legalization, is the ideal place for the Half-Baked brand to establish itself. In our SmallCapVoice report on Nightfood Holdings, Inc. we saw that this THC infused edibles space as an X factor segment for the Company of real interest to potential investors. You can learn all about NGTF and this wholly owned subsidiary here https://ngtfstock.com/. Arguably the most rapidly evolving product category is cannabis-infused edibles, which is projected to make up a $2.3-billion market in 2018 and to become a $5.3-billion market within the next five years (a 130-percent increase), according to data from cannabis market research firm Brightfield Group. According to a report from Hexa Research, the U.S. medical cannabis market is expected to grow from USD 5.44 Billion to reach USD 19.48 Billion by 2024. The market is growing rapidly, owing to the rising demand for medical cannabis, which is now legal in 39 U.S. states. The cannabis-infused solid edibles segment is expected to grow at a CAGR of 17.8%. 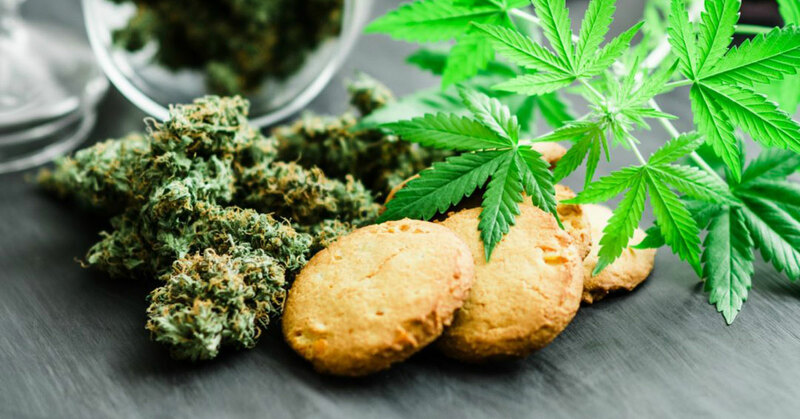 Another report from Technavio indicated that the global cannabis-infused edible products market is expected to grow at a CAGR of over 25% between 2018 and 2022. Growing social acceptance of cannabis is considered as the main factor that drives the market growth. As we have noted in the past, NGTF is not only the leader in smart snacking before bed, but no other company focuses on this specific problem. This gives them a massive competitive edge to own an untapped, sleep-deprived market. Now they have added an equally exciting opportunity for their shareholders and potential investors to digest. As shown by the research above, both globally and domestically the THC infused edibles market is growing at a very healthy rate and loaded with the catchy Half-Baked brand and the aforementioned LOI, it appears as though once again Nightfood Holdings, Inc. has tapped into the right market at the right time.